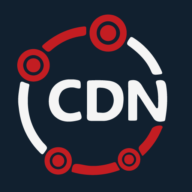 Yes, you can use Amazon S3 with CDN.net - simply set your origin hostname to the Amazone S3 URL when you are setting up your CDN resource. Please note: only domain name buckets are supported. So example.s3.amazonaws.com is fine, s3.amazonaws.com/example would not work. The above setting is not recommended as multi layer CDN would affect performance.